This article helps you to know about EPF rules which are not known by everybody. An employee’s small portion of the salary (12% of the basic salary) is re-invested in EPF or Employee Provident Fund. Do you know that there is an important component named EPS (Employee Pension Scheme) in provident fund? The EPF part is actually from your provident fund and EPS is for your pension. a) The person is liable for pension only if one has completed the age of 58.
b) The minimum pension amount is Rs 1,000 per month. c) One is liable pension only if he/she has completed 10 years of service. d) A lifelong pension is available to the member and upon his/her death member of the family are entitled to the pension. Do you know that Employee can also ‘nominate’ someone for EPF? The nominee will be communicated only at the time of death of the person and handed over the money from the provident fund. However, if the employee has not nominated, then they can submit a form called Form 2 which is to be filled to change or update the nomination. The employee can invest more than 12% contribution of the basis salary in Employee Provident Fund which is called VPF (Voluntary Provided Fund). In this situation the excess amount invested in PF and the employee will get interest for the excess sum invested. But, the employer cannot match the contribution made by the employee. Most of the person have a misconception, that withdrawing of the Employees Provident Fund amount after a job switch is totally fine and allotted, however as per the EPF guideline it is illegal. The employee can withdraw EPF money, only when the employee has no job at the time of withdrawing your money and 2 months have passed. 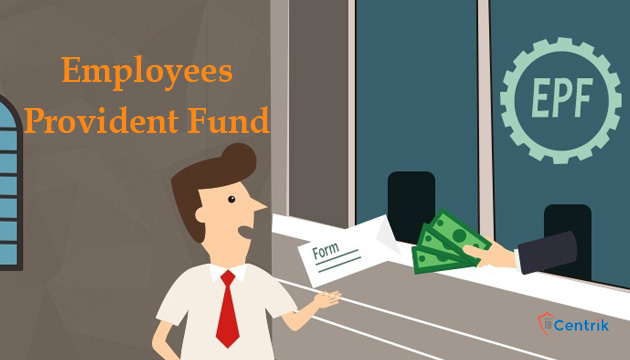 Transfer of the EPF amount is allowed in case the employee gets a new job and switches to it. No interest is charged on Employee Pension Scheme (EPS).Employee Pension Scheme part (8.33% out of contribution from your employer or Rs 1250 whichever is minimum) does not get any interest. However, compound interest is provided only on EPF (Employee Provided Fund) partial. While at the time of withdrawing, the employee gets both EPS and EPF. Many people might not know not be aware that in case a company is not facilitating the with group life insurance to its employees, in that case the employee is given a small life cover age through EPF which is called as Employees’ Deposit Linked Insurance (EDLI) scheme. Occasion of Marriage or Education of self, children or siblings. Medical treatment for self or family (spouse, children and dependent parents). Repayment of house loan for a house in the name of self, spouse or owned jointly. Alteration/repairs to an existing home for house in the name of self, spouse or jointly.